Property features five units of various sizes and warehouse space. Suites A,B,and E are flex space, potentially retail or office space. Suite C is tastefully appointed office space featuring a reception area, large conference room, individual offices, men and women restrooms, kitchenette, etc. You will be pleasantly surprised to see what's behind the doors of unit C. Warehouse space is convenient for West Ashley area. Interior Features CENTRALLY LOCATED IN MAIN COMMERCIAL COMMERCE AREA. CLOSE TO I-526, HWY 7, AND HWY 61. 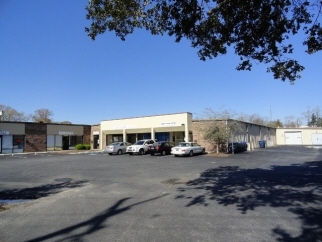 PROPERTY OFFERS OFFICE SPACE, RETAIL SPACE, AND WAREHOUSING. IDEAL FOR SINGLE USER AFTER NOVEMBER 2016 WHEN LEASES EXPIRE. 100% OCCUPIED. LEASES IN PLACE FOR ALL TENANTS.